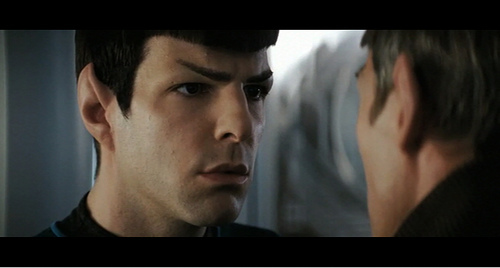 Sarek: "You will always be a child of two worlds. I am grateful for this, and for you." I am of mixed ethnicity. Shock horror. I know. So really, I’m a bit like Spock here, only I’ve got just the one slightly pointy ear. Now, I’ve ranted a little elsewhere about my various issues with how I get treated, so I won’t really go into that here. Suffice it to say, I’m Chinese and Caucasian. Or actually more specifically, Malaysian Chinese and White British (randomly, it’s kind of interesting how the word order goes in both of those phrases). There are attitudes, habits and tastes that seem prevalent in the British/English world and there are others that are prevalent in the Malaysian Chinese world. As a child of two worlds, I’ve pretty much grabbed a handful from each pile. One of these is that I don’t really get the real aversion to going back to live with your parents after university (or for that matter, the perceived eagerness of parents to watch their kids fly the nest as soon as they hit 18). In the Chinese side of my family, going home to live with Mum and Dad is totally expected and normal. In the English world I grew up in? Not so much. There’s also other things like how the elderly are treated (they seem to be put out to die more in the English world), how extended family relates to each other (possibly just a personal thing, but as soon as my English grandparents died, we stopped really seeing the rest of that side of the family) and smaller silly things like taking your shoes off when you enter someone’s house (in Malaysia, you ALWAYS take your shoes off). So while there’s a lot of sort of English things I don’t get, I don’t think I could ever live in Malaysia. Buying clothes there is a pain in the neck, possibly because I’m just looking in the wrong places but mostly because I’m twice the size of nearly all the women on that side of the family (I’m just built differently). The mosquitoes. I am allergic to the damn mosquitoes. It’s not a good thing. The bruises left over from the bites I got last December have just about faded. The weather! I am not a hot, humid weather person. Give me cloudy, overcast, cool days ANYTIME. Tea. Oh God. As much as I enjoy Chinese tea and Teh Tarik in all its forms, making a decent cup of “English” tea has proved almost impossible unless I’m in a hotel. It might be the milk. It might be the water. It might be the teabags. Who knows? The traditional Chinese family structure is also kind of out for me – with the father as the dictatorial head of the family, especially now that I’m an adult. I’m pretty easy-going, but there is only so much being told what to do that I’ll put up with. There’s also the expectation that I’ll get married and have children (but I suppose, that’s a universal thing) – as someone who has seriously considered entering the religious life (and it’s not something I’ve totally ruled out yet), I am content with the idea that I might never marry or have children. Oh. There’s also the small issue of all the bands I like not visiting Malaysia. I don’t think I could live in a place where I’d never go to see live music. What little I’ve seen of popular culture in Malaysia…seems to be all the stuff I avoid at home in the UK. There’s also attitudes to sexuality (and the issue of homosexuality being illegal in Malaysia), to women, to race, to censorship and the corruption seemingly rife within not just the political system there. There are complex issues there. In the end, despite being a child of two worlds, I’m pretty much English/British with the occasional moment where I identify as Chinese.